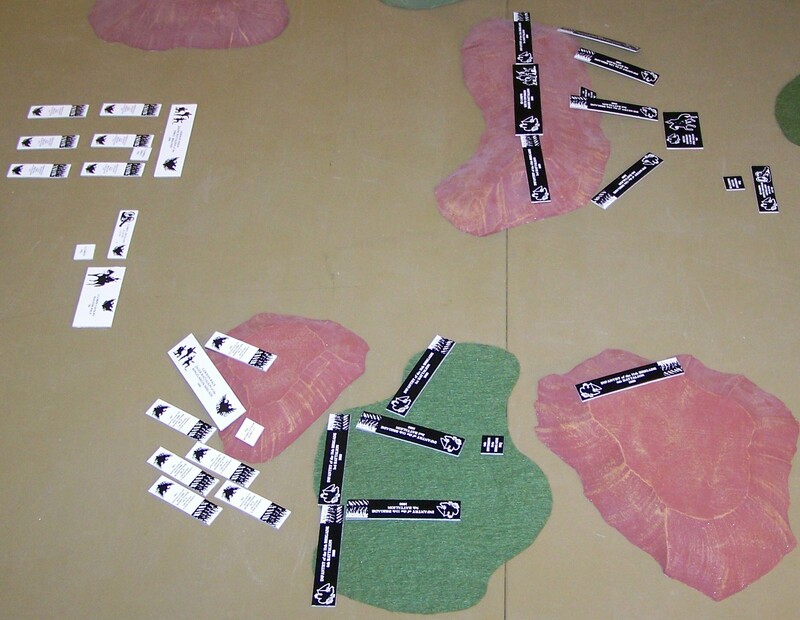 Future War Commander (FWC) rules using TFP (Total Fighting Power) Games counters from ‘Clash of Empires’, Austro-Prussian War of 1866. The ‘Clash of Empires’ title is a misnomer, since the Prussians did not form the German Empire until 1871. No assault (close range fire covers this as in TFP). No off-table artillery, FAOs or FACs. 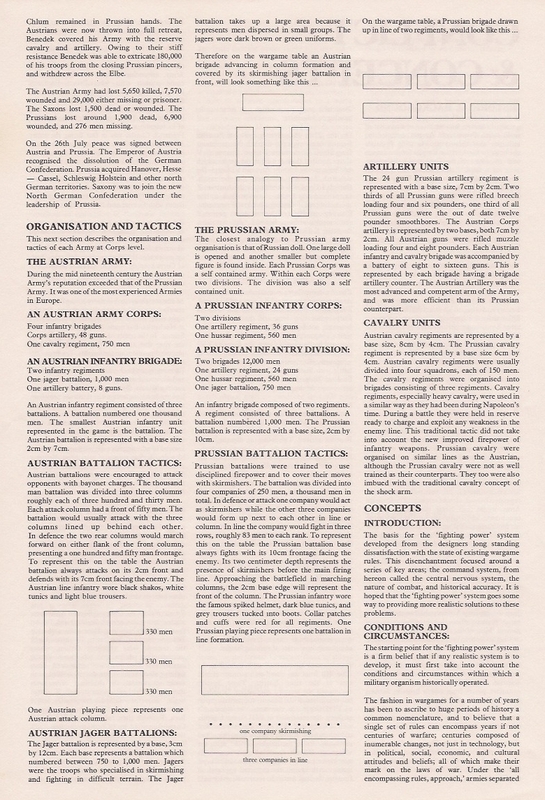 Rigid tactical doctrine, fixed formations and TFP doctrine restrictions. Suppression has no effect other than to trigger fall-back. 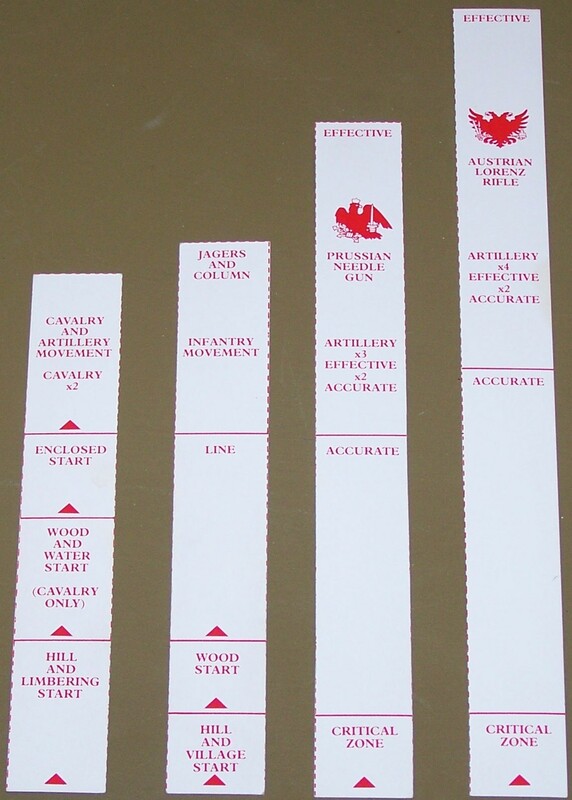 Use of TFP movement sticks and infantry range sticks (see photo) Command units move as cavalry. Initiative and command distance 15cm. 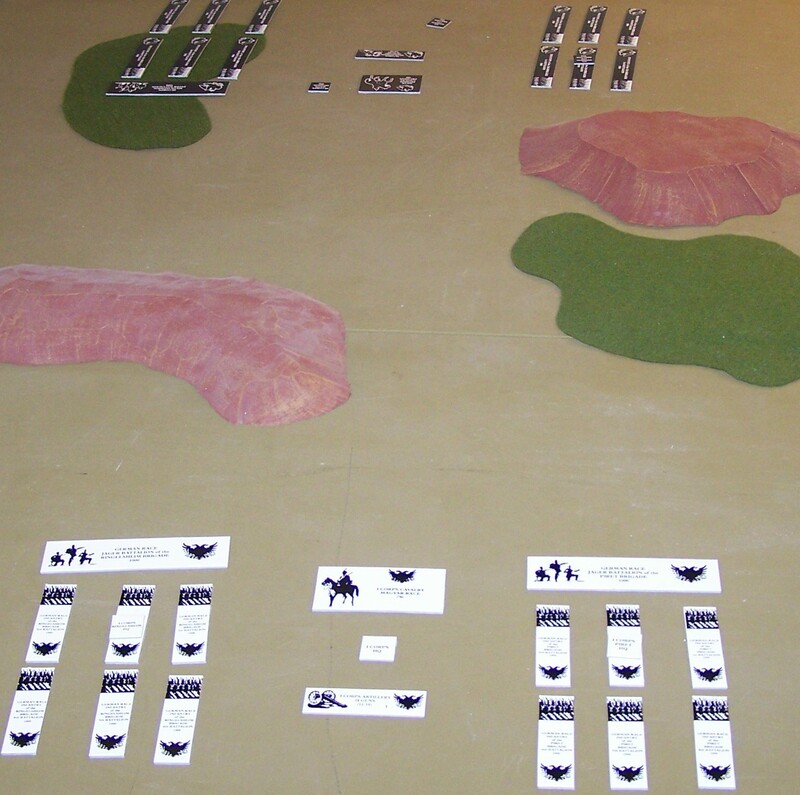 For the test game, each side has a CO (Corps HQ with one cavalry and one artillery unit) and two HQ (Division or Brigade HQ with six infantry battalions and at most one Jager battalion). In the first command roll of the game, an Austrian brigade HQ blunders and the entire formation falls back. If they had been set up on the table edge, half of the Austrian infantry would have been out of the game. By the end of the third turn, the Prussian left and Austrian right had advanced nearly to contact, but woods had blocked any exchange of fire. Long range artillery fire had been ineffective. The Prussian right had achieved a position on the ridge. The Austrian right attacks the Prussians in the woods. 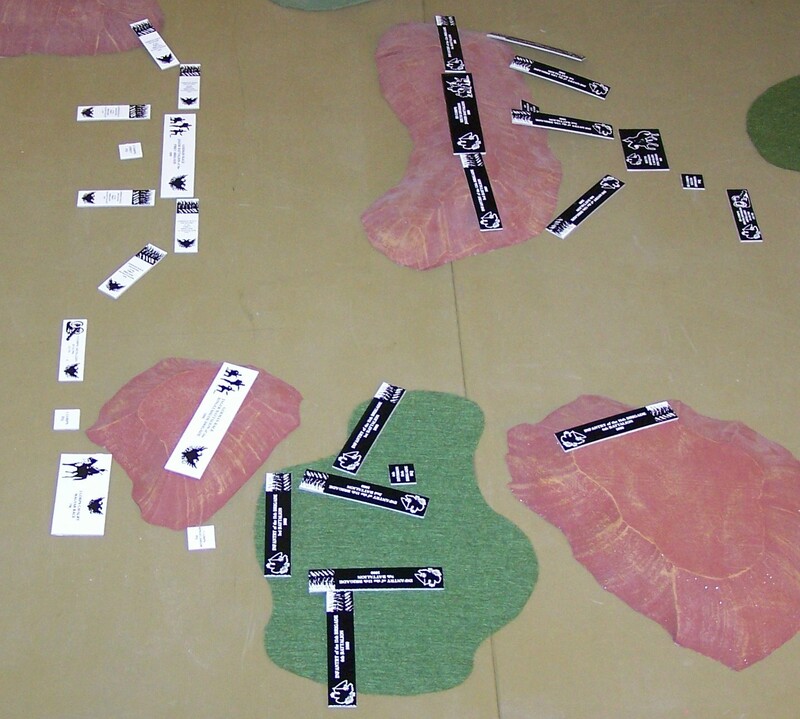 The TFP rules allow Austrian infantry to advance only in column. They are defeated by the Prussians in line with the loss of six battalions (not inconsistent with the fighting in 1866). The Austrian left deploys into line just within Austrian (Lorenz) rifle range of the Prussian left, but outside Prussian (Needle Gun) rifle range. A blunder sends the Prussian left HQ to the rear, saving the Austrian right for a time. Austrian infantry fire starts to pick off Prussian units on the ridge, forcing a Prussian advance to get in rifle range. Austrian cavalry attack into the woods without effect. The last Austrian unit from the right side brigade (Jager) is destroyed. 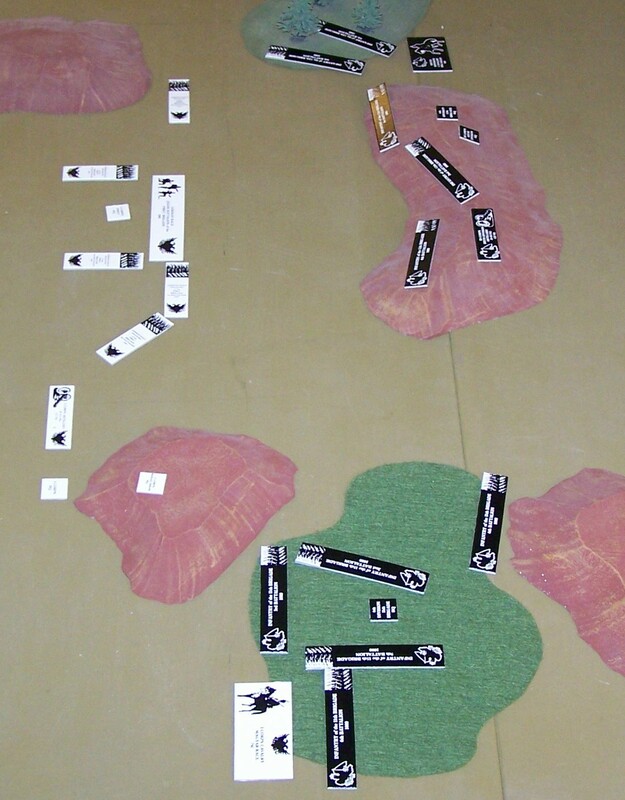 Another Prussian battalion is lost, but so is an Austrian battalion on the left, reaching the breakpoint of 8. Very interesting! I don’t have the TFP game and therefore don’t have the measurement sticks. Can you let me know their distances? Many thanks.